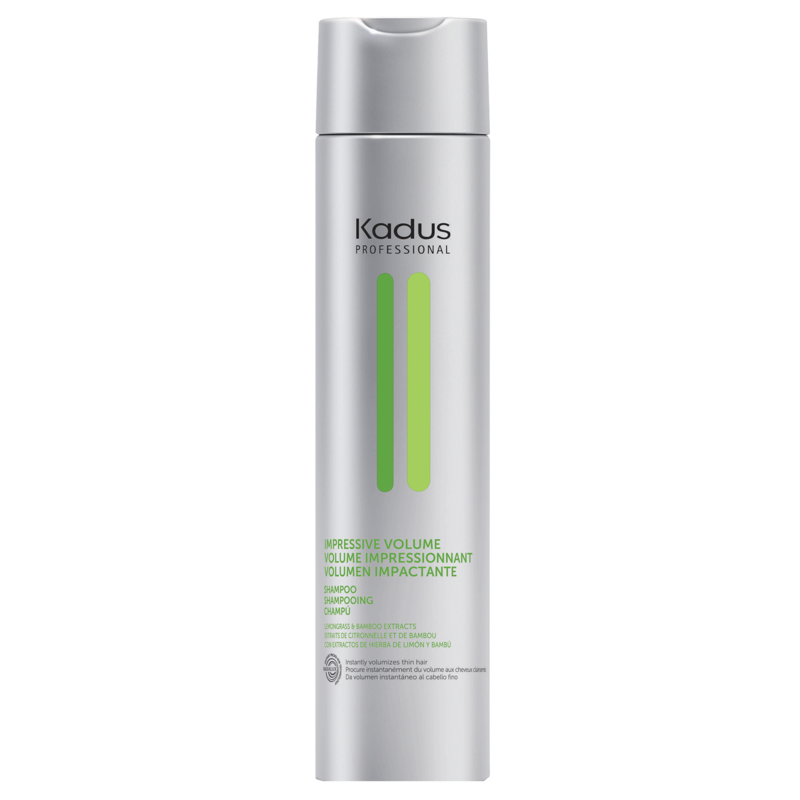 Kadus Impressive Volume Shampoo - instant volume boost and strengthening for this and fine hair. Massage on wet hair. Then rinse. - Instantly volumizes thin hair. - For fuller looking and feeling hair. "I am always looking for a new volumizing shampoo and conditioner and was pleasantly surprised with this combo. It makes hair feel "coated" that makes it feel thicker. As noted, it was impressive."